Here, I’ve merely thought to write my thoughts about hands-on Angular. This is my first article which tells you how to get your hands dirty with AngularJS & ASP.NET WEBAPI and SQL Server BookMySeat Application Tutorials. In the first article, I shared the technology and other brief information about components used. 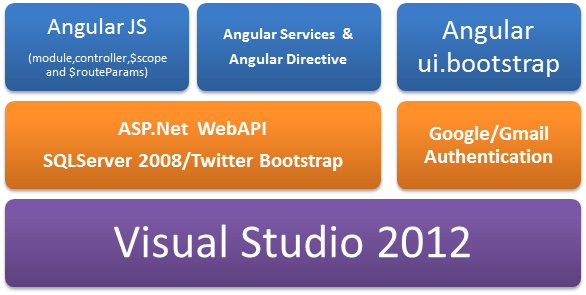 In this article, will look into WebApi creation and route to configure that. The complete code for all APIs is given below. 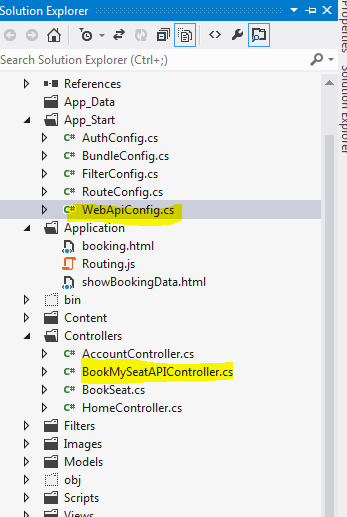 Code segment for WebApiConfig under App_start folder is given below. The application which we are about to build consists almost all of the above defined keywords and the initial look of the application is as shown below. Hope it’ll help you some day. Enjoy Coding.